Waddell took his ship through the south Atlantic and into the Indian Ocean, capturing nine U.S. flag merchant vessels between late October and the end of 1864. All but two of these were sunk or burned. In late January 1865, Shenandoah arrived at Melbourne, Australia, where she was able to receive necessary repairs and provisions, as well as adding more than forty "stowaways" to her very short-handed crew. Following three weeks in port, the cruiser put to sea, initially planning to attack the American south Pacific whaling fleet. However, discovering that his intended targets had been warned and dispersed, Waddell set off for the north Pacific. He stopped in the Eastern Carolines at the beginning of April, seizing four Union merchantmen there and using their supplies to stock up for further operations. While Shenandoah cruised northwards in April and May, the Confederacy collapsed, but this news would spread very slowly through the distant Pacific. Following a month in the Sea of Okhotsk that yielded one prize and considerable experience in ice navigation, she moved on to the Bering Sea. There, between 22 and 28 June 1865 the now-stateless warship captured two-dozen vessels, destroying all but a few. Soon afterwards, Waddell started a slow voyage towards San Francisco, California, which he believed would be weakly defended against his cruiser's guns. Though Shenandoah's late June assault on the whaling fleet was accompanied by many rumors of the Civil War's end, she did not receive a firm report until 2 August 1865, when she encountered an English sailing ship that had left San Francisco less than two weeks before. Waddell then disarmed his ship and set sail for England. 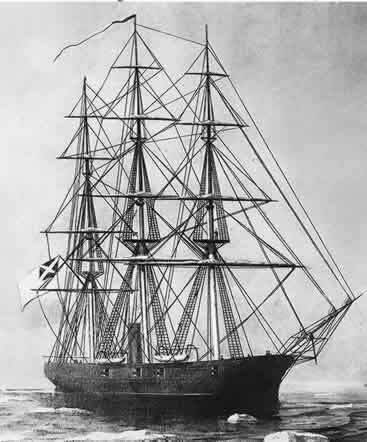 Shenandoah rounded Cape Horn in mid-September and arrived at Liverpool in early November, becoming the only Confederate Navy ship to circumnavigate the globe. There she hauled down the Confederate Ensign and was turned over to the Royal Navy. In 1866 the ship was sold to the Sultan of Zanzibar and renamed El Majidi. She was variously reported lost at sea in September 1872 or in 1879. More at Wikipedia. There are three books about the Shenandoah: The Last Shot: The Incredible Story of the CSS Shenandoah and the True Conclusion of the Civil War, Sea of Gray: The Around-the-World Odyssey of the Confederate Raider Shenandoah, and Last Flag Down: The Epic Story of the Last Confederate Warship . find it difficult to detach myself from my own workings within the space. Being part of media makes it difficult to not critique it. IT IS GOOD! !Wipe the tears away, you can walk the lighter step with fresher mood! AGGGHHHH!!! I missed it all AGAIN. You need to give a clue, as to when you're going to post your stash!